a residency at Moks in rural Estonia during spring 2009 came at a time where my thoughts about improvising with field recordings and methods of composition where in flux. they always are of course, but it’s fair to say that during 2009 my work was moving in a series of different directions. some recordings, like those in my ‘instamatic’ series, are immediate and work as documents of listening. others take time and drift in and out of ones view. it is some of these later recordings that form the basis of this new release. they have taken time to appear, time to ‘fit’ and time to be fully formed. 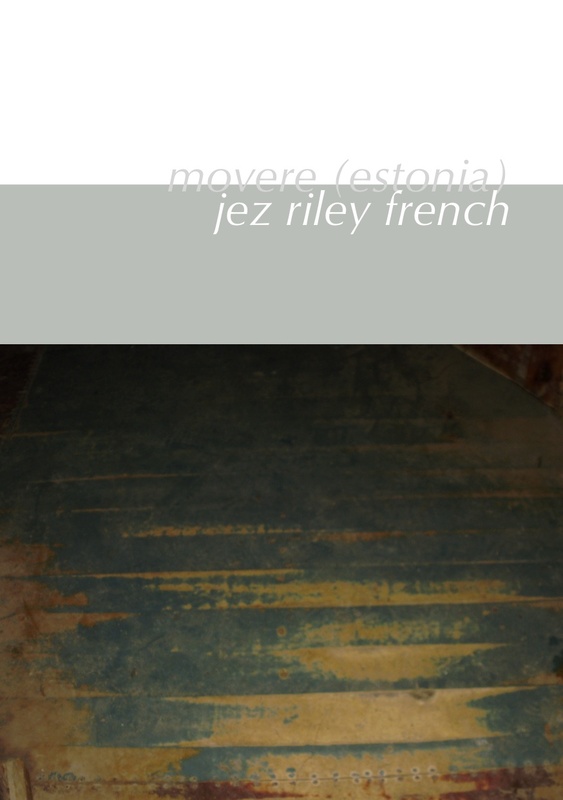 movere (estonia) begins a new series of works, centered around the word ‘movere’, that focus on ways that field recordings, including those of in-situ responses, act as choral musics - voices of places, objects and actions working with and against one another towards a, still intuitive, compositional line. movere (estonia) is released on february 11th as a limited edition taiyo yudon professional cd-r, mounted on A5 recycled card. SV: I read your words about this release and new series of works and I hear in the pieces that they are not as subtle, in a normal meaning of the word, as I expected. There is more density and impact. Can you talk about this ? JrF: yes, I understand what you mean. I'm working on some more 'movere' works that are very subtle - a step closer to quietude than, say, the 'audible silence' pieces. However the pieces on this release are a kind of cleansing, a way to say that something from the time of their origin was started and has a kind of trailing light that is still visible in the present. SV: Is it music of a kind that you don't perform now ? 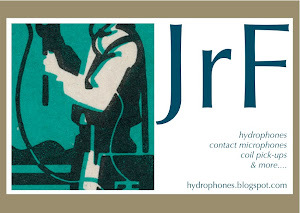 JrF: hmmm, well, live I always perform intuitively so its impossible really to say what is going to happen. I think though that some of the grain in these pieces, especially the third motet which is the earliest, represents an approach to intuitive composition that I was questioning and, in some ways, I have other questions now. SV: I think I am not alone when saying that I think of your work as always being quiet. I am not talking about volume with this. This release is more like the cd you made with Hankil Ryu, yes ? JrF: well, both that cd (birdcage wallpaper) and the pieces on this one are quite close in terms of when they were recorded or begun, so yes, i'm sure there are some connections, though on the cd with Hankil I am actually playing very quiet sounds. SV: I know when you are playing concerts you have used the salt a lot for a long time and also paper, but here you make with them a different type of sounds. JrF: yes, I think I agree with that. Oddly, I was in rural Estonia and it was very quiet and secluded there. It was unusual for louder sounds or approaches to appear when I was recording. On the second motet though there is a very quiet sound, of fingers, which whilst quite loud volume wise, is actually a very subtle sound. I had the microphones very close to my fingers and so this is perhaps one place where its possible to hear quietness even in something close to the ears so to speak. SV: I am thinking a lot when I am listening to this cd. I find that some parts are a surprise to me. Did you aim for this ? JrF: no, not at all. I simply make the music that I like or that seems to arrive. I left these particular recordings alone for a long time. I didn't even have them waiting for a possible release. In fact I was working on another set of pieces and then I decided to listen again to the work from Estonia and I found that the first and third motet now felt 'right' for a release. The second motet was not complete - its actually two recordings and for a long time I didn't know how to connect them. I often find that things find their place in ways that simply just arrive.